When you want to send a spectacular flower arrangement for the holidays, why not depart from tradition? 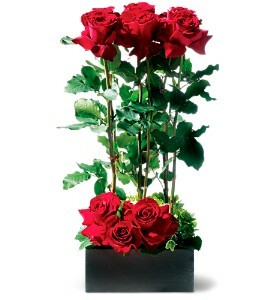 This modern arrangement of a dozen red roses is a bold and elegant design that will take their breath away. A unique and special gift.